This woven infinity wedding band ring in 14K white gold from Apples of Gold Jewelry is the ideal way to tell her that you love her and will forever. The simple band, which is plain in the back and features a weaving infinity pattern design going across the front, is unique and can be worn alone or paired with diamond engagement ring to create a beautiful set. The 14K white gold of the ring remains cool and will look beautiful for daily wear. 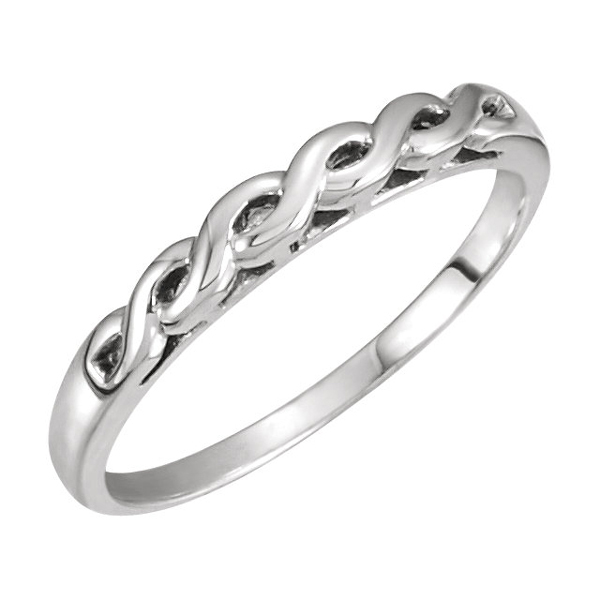 We guarantee our Woven Infinity Wedding Band Ring, 14K White Gold to be high quality, authentic jewelry, as described above.